Easily add this hypoallergenic 316L double-sided medical alert charms with lobster clasps to your favorite jewelry or accessories. Please note these are small and measure at 3/8"(10 mm) in diameter. Please view additional picture of charm for idea on size. 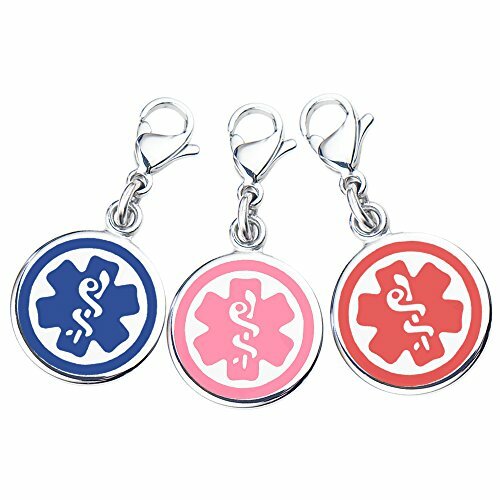 Divoti medical alert charms features deep embossed caduceus with hard enamel filled on both sides. 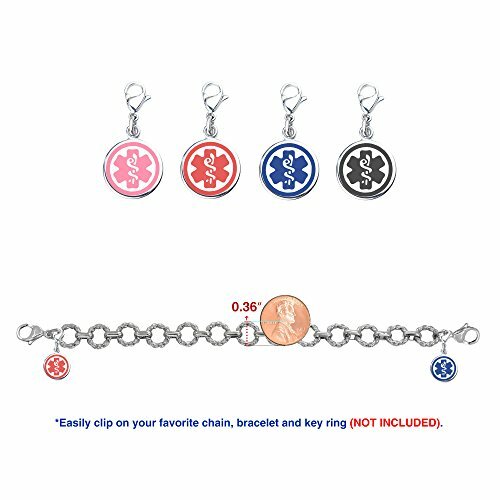 These are designed to attach to bracelets, or to any other jewelry as embellishments. 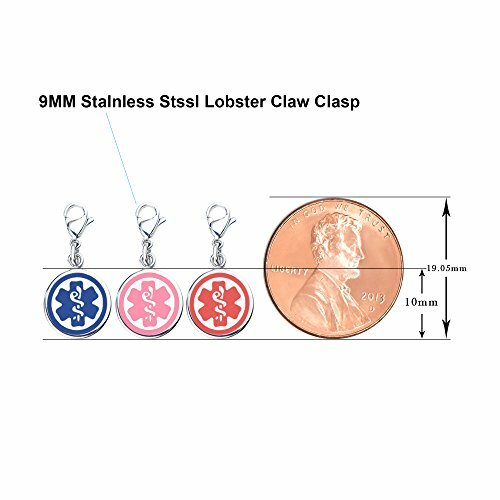 These charms are made of enduring hypoallergenic 316L stainless steel and hard enamel. 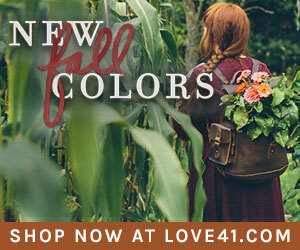 They are small but extreme durable with excellent wear resistance. 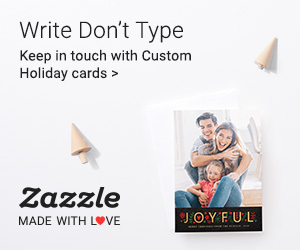 These are non-engravable. 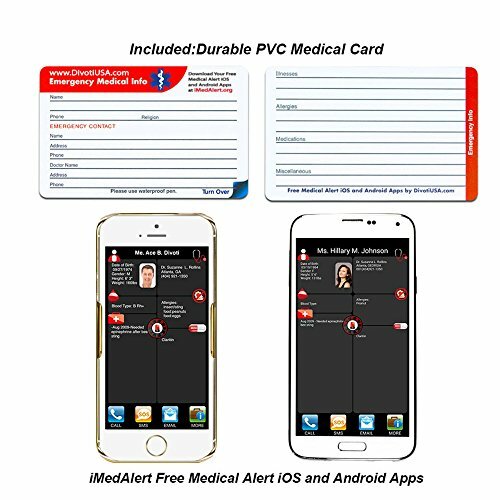 We also offer a large selections of engravable medical alert charms in various sizes. 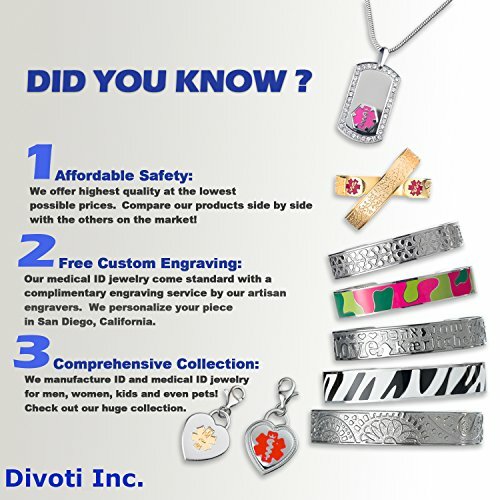 We offer free custom engraving on all orders of medical ID charms. 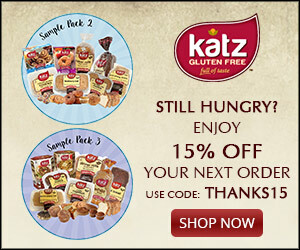 Please check them out on Amazon.